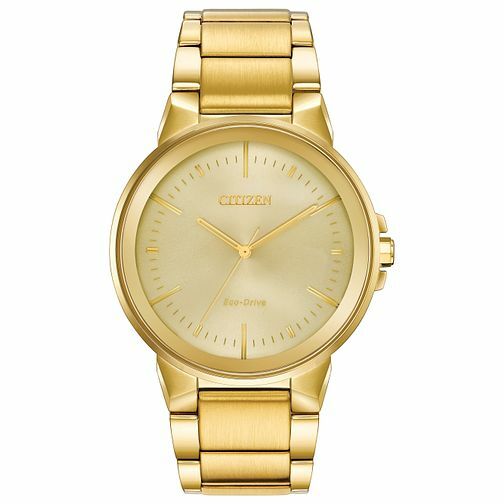 A smart Citizen men's watch, boasting a 41mm gold plated case and sleek bracelet. The minimalistic champagne dial presents linear hour markers with co-ordinating hands. Powered by award winning eco drive movement, a sophisticated style and timepiece for the modern man.